Some people dream about making music with their friends in a garage, eventually breaking into the music scene. Los Angeles-based band LANY has done exactly that—except instead of a garage, they got their start in a bedroom. If you’ve been tuned into the music scene lately, you might have seen LANY pop up here or there. If you haven’t yet, you’re missing out. With the band going on tour with Ellie Goulding in March, the release of their new EP, “Make Out” couldn’t have come at a better time. 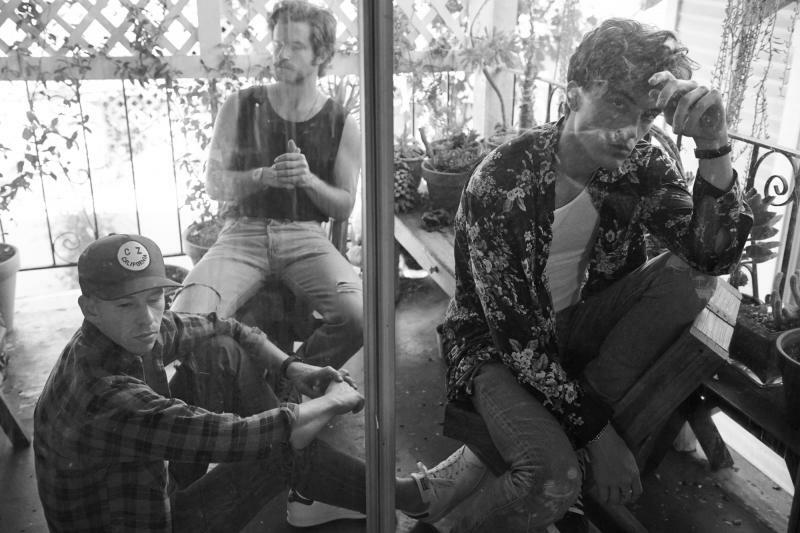 I had the chance sit down with LANY members Paul Klein, Les Priest, and Jake Goss to discuss their story, inspiration and “Make Out” to give you, dear reader, everything you need to know about the dreamy pop trio. The first thing? How to pronounce their name (which is “lay-nee”). 1. LANY’s name is inspired the two largest cities in America, New York and Los Angeles. The band knew they wanted a four-letter name for visual and aesthetic purposes, yet just about every four-letter word was taken—so they moved onto acronyms, considering TTYL. Eventually, they fell upon the moniker we know them by today. However, they faced a little bit of confusion when they started announcing the same of their band. 2. The trio got their start in a bedroom making music on a computer just for fun. Klein, Priest and Goss all met and knew each other in Nashville Tennessee before they got together to start LANY. However, Klein moved to Los Angeles to work on music independently while Goss and Priest were working together in Nashville. Klein was visiting the other two when they started writing some songs together, which led them to produce “Walk Away” and “Hot Lights,” along with the style of their music. “We’re really good with working with what we have and what we’ve got, and we kind of let our limitations define our art. Since signing to a major record label, we’ve kind of been able to maybe move out of the one-bedroom apartment that we’ve been living in together and now we have some space to put in a real drum kit,” said Klein. 3. They’re inspired by more than just music. When asked about what inspires their music, the band honestly could not find a definite answer, as of of the member’s interests go just about everywhere. Klein explained how they’re more visually influenced than by anything else. 4. Design and aesthetics are everything to LANY. “I want everything about LANY to be just a little bit more beautiful than real life. I want it to be extremely aspirational, so whatever we do, sound, vibe, and our appearance…I want to just be like very out of touch with reality, like the colors are just a little bit brighter, the sounds are just a little bit louder, the lyrics are just a little bit, almost unreasonably, emotional. I want it to be aspirational in that sense. 5. 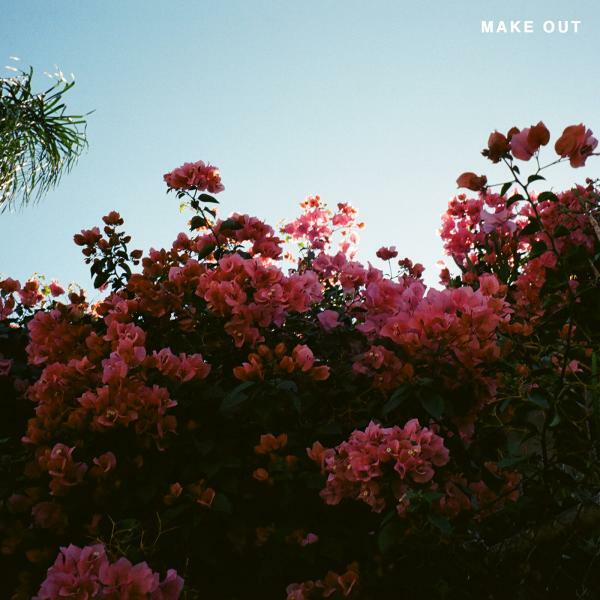 LANY’s EP “Make Out” title is self-explanatory of their music. “One of my friends once said, ‘You guys make make out music.’ I just thought that was so cool, and I even thought ‘Make Out Music’ would even be a cool title, but we wound up going with just “Make Out,” and there’s really nothing more to it than that. I just thought it was kind of clever and thought-provoking, and kind of provocative,” said Klein. “Make Out” features remastered versions of the band’s music and includes a stripped version of their hit single, “ILYSB.” You can also expect to see their name in some festival lineups in the next year. “Make Out” is available on iTunes December 11, 2015. Reach Associate Arts + Culture Editor Dale Chong here. Follow her on Twitter here.